I’ve long described New York as being like the girl you’re desperately in love with who doesn’t even know your name. It’s not personal; New York doesn’t stop for anyone, doesn’t care what anyone’s name is. It’s a place that always shifts, always moves forward, whether you’re coming for the ride or not. I recently read a novel that got me thinking about this idea again. Colum McCann’s Let the Great World Spin, which won the National Book Award in 2009 and is, truly, one of the best books I’ve read in years, is set in New York in 1974. 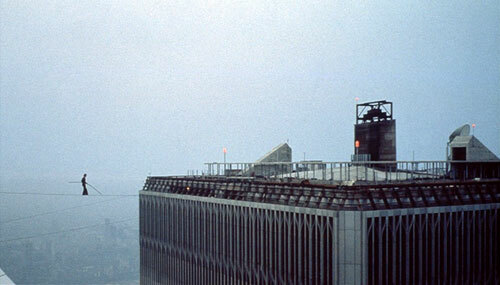 It imagines a number of characters’ lives swirling around the day that French acrobat Philippe Petit successfully walked a tightrope between the Twin Towers. The ballsiest circus trick ever, right? I stopped. Wait, what? You see, that’s the exact block where the office I currently work is located. 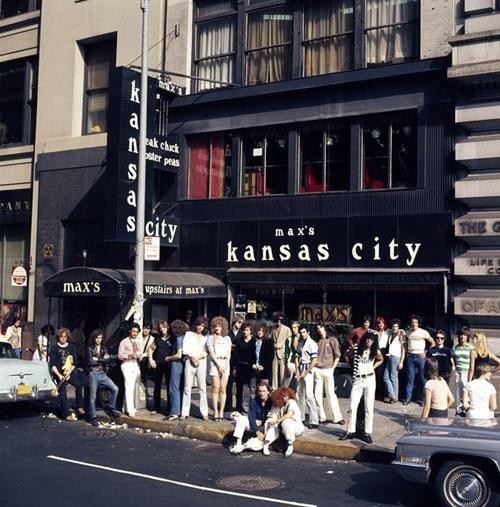 And, when I looked it up, it turns out that not only is it the same block, but Max’s Kansas City was in the building next door, between my office and the W Hotel. I walk by it every day. Of course, it’s not a nightclub anymore. Max’s went in and out of business several times, and now the storefront at 213 Park Avenue South is a cruddy sandwich and salad place. And today: “Moving on” doesn’t necessarily mean becoming something better. 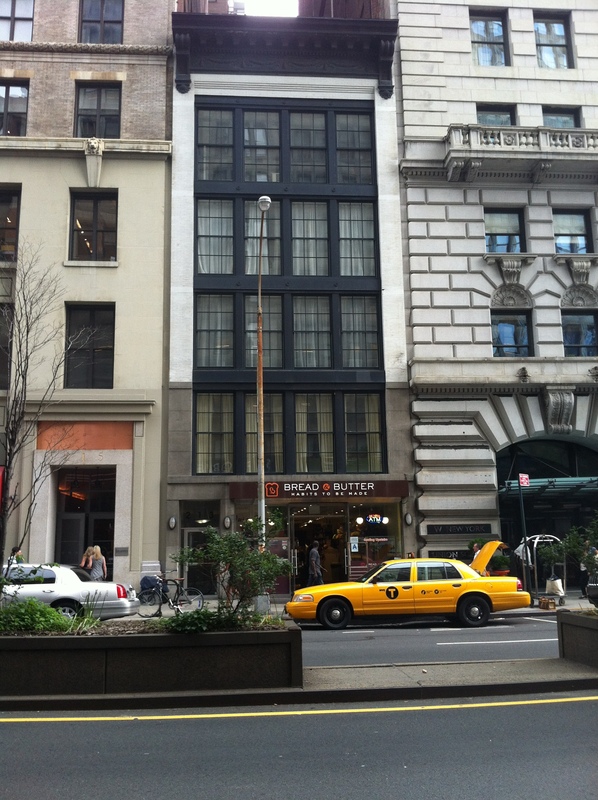 New York is full of these, once famous buildings that are now nondescript, with nothing to commemorate their importance. You want another example? How about the Fillmore East? 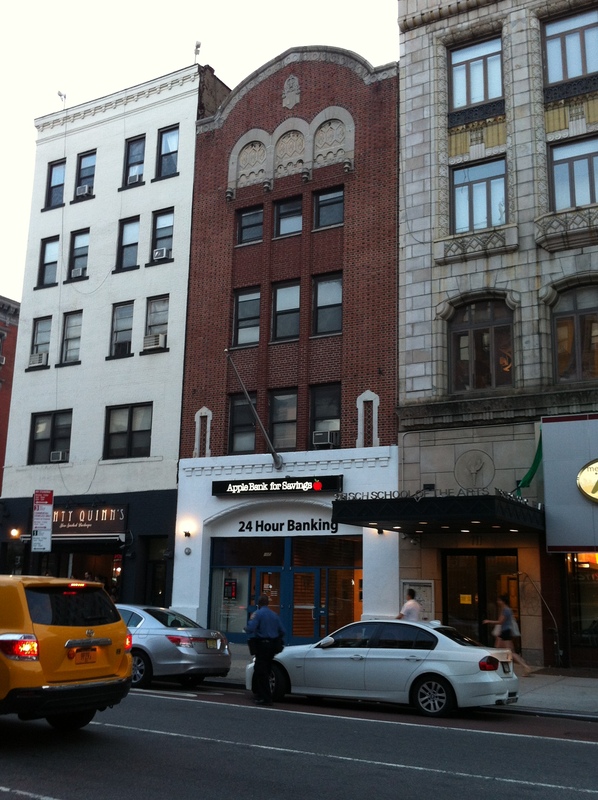 Opened by famed concert promoter Bill Graham, between 1968 and 1971 the Fillmore East, at 2nd Avenue and East 6th Street in the East Village, hosted nearly every major rock ‘n’ roll act you can think of. 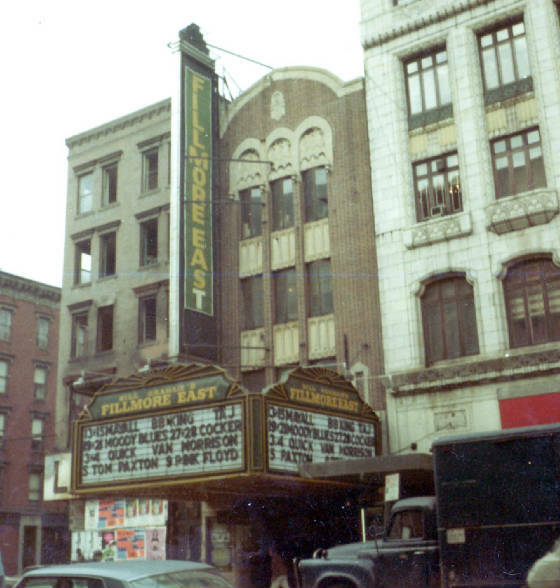 It’s also where a couple of the most famous live albums ever were recorded: Jimi Hendrix’s Band of Gypsys and the Allman Brothers Band’s At Fillmore East. Now? It’s a bank, no indication whatsoever of its former glory. I don’t mean to be overly nostalgic. As this city moves forward I’ll go on loving her, even if she never learns my name. But there’s a funny thing about that girl you love so much: She’ll never be more beautiful than in your memories. Note: This post was partially inspired by fellow blogsmith Juan Alvarado Valdivia’s series, Fantasmas de San Francisco. Check it out. This entry was posted in Books, Travel and tagged colum mccann, fillmore east, history, man on wire, max's kansas city, national book award, new york, philippe petit, twin towers, world trade center. Bookmark the permalink.